The next Call of Duty World League promises to be the series' biggest season to date in more ways than one. With an all-new Call of Duty game set to release in a few short weeks, Activision is looking ahead to the 2019 Call of Duty World League season. As expected, this upcoming season will be contested under Call of Duty: Black Ops 4, but the stakes will be higher than ever with a $6 million prize pool on the line. The CWL format is also changing up significantly. The 2019 campaign will be the first one contested under 5v5 teams. The regular season will begin in February 2019, leading all the way up to the CWL Championship in August. But the action will begin earlier than that with a major LAN tournament set to take place from December 7-9 at CWL Las Vegas. 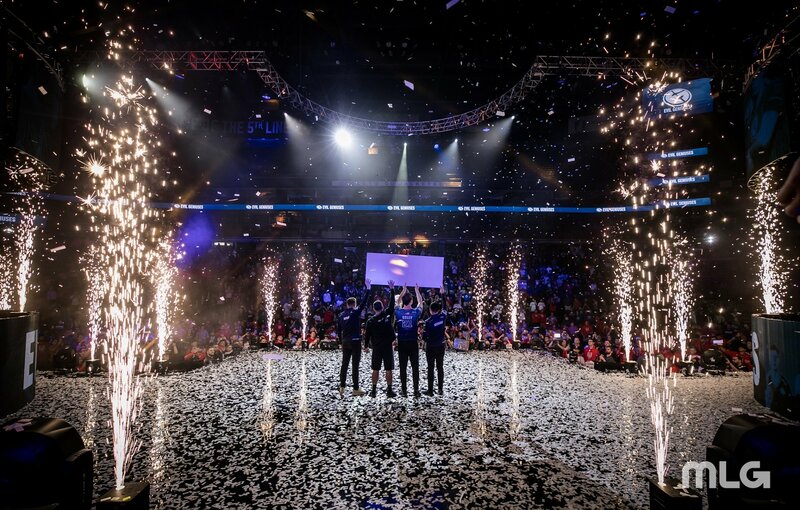 This and other LAN tournaments are set to feature top talent from across the globe, as region restrictions for LAN events have formally been lifted for the 2019 season. While the pros battle it out for supremacy, the CWL is also opening up a new amateur league, set to unfold at CWL LAN events over the course of 2019. That league will have its own prize pool, as well as its own playoffs. Each pro team is required to have a designated sixth substitute from the amateur circuit. All of this will lead to the newly-dubbed CWL Finals, where one pro team will rise above the rest and look to topple defending champions Evil Geniuses. The Call of Duty World League will use traditional CoD multiplayer. No word just yet on whether Activision is considering a separate circuit for the popular Blackout battle royale mode. Look for more information on official rules for the 2019 season in the coming weeks. For more, be sure to visit the Call of Duty World League website.